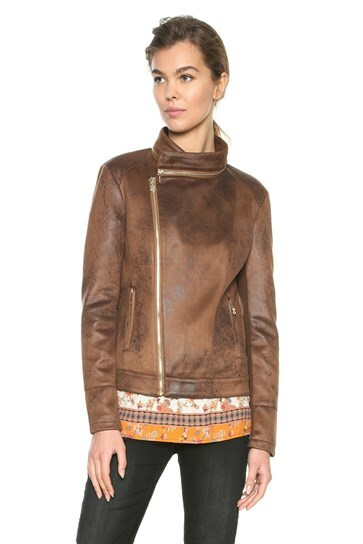 Womens synthetic leather fitted jacket with asymmetrical zip closure and mandala print detail on back. 99% Polyester 1% Elastane. Handwash or Dry Clean.